I discovered Tsai Ming-liang’s films early on in my research into Slow Cinema, or even well before I started my PhD. The director from Taiwan could, in fact, be the second slow-film director I have come across, and I don’t want to sleep alone (2006) was my very first Tsai film. It was great to return to the film last night. I was not only reminded of the qualities of Tsai as a filmmaker and observer of society. I felt as tough I was going back in time, doing the first baby steps in discovering aspects of Slow Cinema that would become so vital for my later work. In everything I have said and written so far, I have always considered Tsai to be an exceptional director. I’m not using the word “exceptional” only in terms of quality, albeit it certainly applies to him. There is no doubt about it. But what I actually think of is Tsai’s particular aesthetic, primarily his use of architecture in conveying a sense of alienation, isolation, solitude, the sense of being outside, excluded, different. I don’t want to sleep alone is very strong on this specific element. The story is, as in most slow films, comparatively easy to summarise. The film tells two parallel stories. One of them concerns a young man paralysed from the neck down. He’s tied to bed and is looked after by a young woman, who lives in a claustrophobic, cramped mezzanine above a woman’s flat. The woman’s relationship to the paralysed man is never clearly established. I’m not entirely sure who she is. She could be his mother, perhaps? It matters little. Towards the end of the film, an estate agent leads people through the flat where the young man lays in his bed. It is a bizarre situation. The cruelty is rubbed into our face. I felt helpless as a viewer. It’s an uncomfortable situation. The young man is exposed to the views of total strangers. The aim is to sell the house, and in the off we hear an argument about this: “You only think of selling the house. Where will your brother live then? Will your wife look after him?” The scene ends with the maid being slapped in the face by the woman under whose roof she lives. What has just happened? The question isn’t that unusual for a Tsai film. The reason for this is that he makes extensive use of off-screen sound and dialogue, as well as a particular “architectural” aesthetic. I believe that Tsai’s films are often more about what isn’t there than about what we see clearly. But compared to other directors, Tsai doesn’t simply put focus on the off. He uses walls, doors, and hallways instead in order to represent a border, a sort of frontier between the present and the absent, the places of here and there, the places of where I am and where I want to be. Tsai’s frame architecture is a maze which we have to navigate. Architecture, in whatever way it is used, is an expression of the characters’ minds. Béla Tarr as well as Lav Diaz use landscapes in order to represent their characters’ psychology. For Tsai, it is primarily the particular characteristic of architecture that becomes the main character in all of his later films. Walls, streets, staircases – they all speak volumes. What struck me most was the way in which Tsai filmed walls. Almost all of them run diagonally through the frame. No one stands straight in front of a wall. There is no frontal shot of any wall at all. 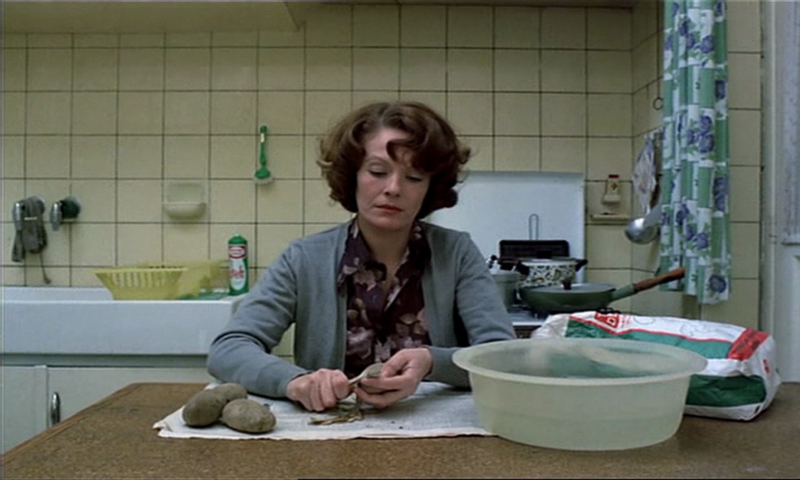 Walls run through most of the film’s frames, but they only do so diagonally. This suggests the opposite of “a light at the end of the tunnel”. The walls close off the frames. It suggests increased imprisonment, or perhaps rather a continuation of imprisonment, the continuation of isolation. In almost all scenes in which Tsai lets walls run diagonally, there is no sense of escape for the characters. It feels as though the walls close in more and more, the further they walk towards the horizon. This is a strong statement, especially in a film such as I don’t want to sleep alone, in which many of the characters are migrant workers, some of them from Bangladesh, who try to make a living, but who, we know, will never escape their precarious situation. They are as confined to their situation, as is the paralysed man in his bed, exposed to others, to external circumstances (such as the sale of a house). But it wouldn’t be a Tsai Ming-liang film without intimate human connections that appear so bizarre that it is almost funny. This is something Tsai shares with Albert Serra; an underlying sense of humour, a dark humour, a dry humour that might not be for everyone, but that can almost be considered the core of their work. Neither director is making straightforward comedies. And yet, both include in their films scenes that lighten the mood a bit, that allows the viewer a bit of relief from the depressive world the directors show, albeit this is more true of Tsai than of Serra. In any case, what matters here is Tsai’s focus on human connections, on the intimacy (or not) between them and what our world, our society does to us. It seems as though human connections will always be there, regardless of external circumstances. And Tsai not only shows those connections on screen, such as when the character of Lee Kang-sheng masturbates a woman in a dark backstreet, just behind a small restaurant at the corner where she is working. Connection, human or not, is, just like architecture, a core element in I don’t want to sleep alone. The title itself suggests as much. Loneliness in a busy city which never sleeps. Alienation juxtaposed with an eternal longing for a feeling of intimacy, for warmth. That is the cinema of Tsai Ming-liang. But compared with his later films, which tend to get bleaker and bleaker, and which he empties more and more of human intimacy, there is something of us as loving human beings left. This, of course, is established on a visual level. The use of sound is equally important, however. It starts right at the beginning. While we see the opening credits, we hear German classical music. It appears to be non-diegtic music, music that does not stem from the actual film world but which has been added in post-production. But a cut makes clear that the music is, in fact, diegetic. It comes from a radio that stands on the nightstand next to the bed of the paralysed man. Tsai uses this strategy several times in the film. Music bridges two scenes. It connects them, brings them together, something that the film characters long for, but which only really seems to happen on an auditory level. Rupture is more present in Sleep than smooth connections. I remember an almost literal jump cut at the beginning of the film from the paralysed man’s room to a scene set in busy streets, showing two characters waiting for take-away food. The rupture, the sudden change in sound, shifting from quietude to sensory overstimulation, made me jump. It’s an extreme change on a visual and on an aural level, which was disorienting. I can imagine that this is what it was like for the migrant workers, depicted in Tsai’s film, when they arrived in the big, unknown city. Although set and filmed in Malaysia, Sleep tells a universal story, which, in fact, a lot of slow films do. But Tsai stands out with his particular aesthetics that make his films as recognisable as any Tarr or Diaz film. Having rewatched the film after seven years, I can say that it wasn’t surprising that I got hooked on the director’s work. He’s just damn good. His films are touching, very expressive, deep and heartfelt. Sleep is also a good entry to Tsai’s work in general, if you’d like to discover it. The advantage is that most of his films are available on DVD. Time for you to check Google! If there is one thing that is visible in my research of the last three to four years, then it is my interest in why certain films attract me more than others. I’m fascinated by film experience, a fascination which started with Slow Cinema and then shifted to slow trauma cinema (specifically the cinema of Lav Diaz). Why did I get so hooked on Slow Cinema? In a previous post, I wrote about my experience with post-trauma and how Slow Cinema helped me to deal with anxiety and sensory overstimulation. For me, slow films were therapeutic. At the same time, I was reading an eye-opening book called Somatic Cinema: The relationship between body and screen – a Jungian perspective by Luke Hockley. I discovered “the three meanings” of a film, the third (speaking to something in the unconscious, unknown to us) being the reason why I have one film in particular which I cannot watch to the end. I don’t know why, but there seems to be a relation between the film and my unconscious. Now, this reading and this experience showed to me that film is not just an audio-visual product. I could already feel this when I investigated the ways in which Lav Diaz used specific aesthetics in order to transmit a sensation of post-trauma to the viewer. Post-trauma is more than just audio-visual. It goes deep under your skin, so if a film wants to evoke this, it has to go deep under your skin too. In effect, film being a multisensory experience is a no-brainer. I believe people are aware that it’s not just about images and sound. However, this is what scholars focus on, even more so on image than on sound. Film critics follow a similar line. There is little talk about the experience of a film, regardless of where you look. Especially in scholarship, experience is a sort of plague which you should try to avoid. It is subjective and mostly individual, therefore you cannot prove anything or write an objective scientific paper backed up with facts. But film viewing isn’t fact, it’s experience. It always was and it will always be, whether we’re speaking of popular mainstream or niche arthouse cinema. I was therefore happy to read Luis Rocha Antunes’ book Multisensory Film Experience: A Cognitive Model of Experiental Film Aesthetics (2016), which contains a lot of material that is applicable to Slow Cinema, or that comes specifically from slow films. Antunes even mentions Slow Cinema, which doesn’t surprise me at all. He argues that the multisensory in film can be felt primarily in films with little dialogue, films which allow time for viewer experience, films which are often austere in their aesthetics. That is not to say that other films don’t offer this experience. It is just more difficult to perceive an action blockbuster as multisensory rather than as an image-sound-product. But that doesn’t mean it’s not there. Specifically, Antunes writes: “By using non-verbal communication and the senses, these films capture the interest of various audiences. The experiential appeal of these films is universal” (2016: 7). The fact that the experiential aspect is universal explains (to me) why there is a rather large group of people attracted to slow films, and if you ask them why they’re attracted to it, it seems as though they all feel the same. Certainly to different degrees, but it is always about the specific experiential aspect of the films, not about how amazing the actress looks, or how mind-blowing the cuts were. There is something that sits deeper in those viewers who admire slow films, and I believe that Antunes’ book is a very good start to explore this “something”. After years heavy with sensorial experience, be it through post-trauma or through cinema, I can heartily support Antunes’ proposition that “the experience is the message”: “it is the experience – not the medium alone – that defines the perceptual nature of the message” (2016: 13). In some ways, this is one of the cornerstones of meditation and Buddhist/Taoist beliefs. It is about experience. For that to happen, for the experience to materialise, you need to be in the moment, in the present, and this can be facilitated through certain aesthetic choices by filmmakers, as is the case in Slow Cinema, the way I see it. In fact, Antunes mentions slow-film directors as varied as van Sant, Tsai Ming-liang and Albert Serra. The issue is that we have lost the ability to be in the moment, which makes it difficult for us to feel a film as a multisensory experience. This explains why so much emphasis is placed on images first of all, then maybe on sound. If they follow classic patterns like changes of colour for mood changes or change of shot lengths if a character reveals something important to the narrative, images are easy to read. Add a chunk of quick cuts, and the viewer has little chance to be with a film. I think Antunes’ book is worth reading if you’d like to understand the psychological and biological processes behind the multisensory film experience. Antunes cognitive model can be overwhelming, but it is an eye-opener, or perhaps rather a reminder of what cinema is about, namely experience. After his great films Honour of the Knights (2005) and Birdsong (2008), Albert Serra’s Story of my Death (2013) was a highly anticipated film among critics and viewers alike. Serra is one of the key players in Slow Cinema, and distinguishes himself from other slow-film directors by loosely adapting stories of literary/fictional importance: there’s Don Quixote and Sancho on his way to who-knows-where, there are the Three Kings on the way to find baby Jesus, and Story is a film about Casanova. And Dracula. Yes, Serra was rather experimental in putting his characters together. Story of my Death is a play on Casanova’s actual book, Story of my Life, which he wrote at the end of the 18th century. Early on in the film, Casanova says that he wants to write his memoirs, but he is never seen writing. He’s dreaming of writing. He himself says at some point that he’s obsessed with words. So great is the obsession with words that he wants to write a dictionary of cheeses. Just from this, you can gather that Serra has infused his new film with his usual sense of humour. It doesn’t make you laugh out loud. It’s a somewhat subtle quality of his films. They make you chuckle in silence. It’s one of the things you cannot find in other films that are under investigation on this blog. I don’t want to go into too much detail about the content of the film, but there are a few things I’d like to say with regards to its aesthetics. First of all, off-screen space is really important in Story. Weirdly enough, the film’s off-screen space is not a complex construct. There are merely a few parts of dialogue between characters that happen off-screen. Still, I found it fairly interesting. Reaction shots are hardly ever used in slow films, so this shouldn’t be a surprise to me at all. And yet, it is. I think this was the case because Serra hasn’t used off-screen space to such an extent before. I found it to be a real novelty, which worked well. Somehow I expected something from the off-screen space. Maybe it was because I knew that Dracula would show up at some point. Dracula, by the way, is a superb character in this film. So is Casanova. Serra’s representation and depiction of both is brilliant and, I find, with Story, Serra has reached a high in his study of characters. Overall, the film is rather dark, judging from the lighting used in the film. Again, it kind of fits to the Dracula theme. In fact, the film gets darker towards the end of the film, and especially when Dracula has made his appearance after an hour or so into the film. I would have liked Serra to stick to those dark shots, because they’re all lovely. Beautiful artistic compositions, which generate an atmosphere that always made me wonder how I should feel. Darkness is often equated with evil, but Serra’s shots had a strangely cosy and warm feeling to them. Whenever the film cut to a scene in broad daylight, in bright sunshine, the film lost parts of its quality. They somehow didn’t fit in there, and disrupted the lovely contemplation of the night. Speaking of contemplation – unfortunately, I have say something that makes me rather sad. This post can be read on my Slow Cinema blog (though I will reblog it on Viewing Film), but, in fact, Story of my Death isn’t a slow film in its original terms anymore. I have decided to upload the post here as Albert Serra is an icon in Slow Cinema, so I thought it would be appropriate to include his new film here, and say at the end that Serra is seemingly moving away from Slow Cinema. Don’t get me wrong, Slow Cinema is actually something that happens naturally and is hardly ever a deliberate choice. The long-takes are in place because the directors find them to be more appropriate in relation to their subjects, for example. It appears as though Casanova and Dracula didn’t make for a good slow film. 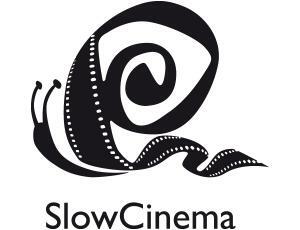 The film is slow, but I would not categorise it as Slow Cinema. It is a “normal” arthouse film, which tend to be slower and longer than popular films. There are some striking long-takes in the film, but overall, the cuts happen fairly quick compared to his other films. There is no interest in the relationship between nature and man, which had been an interesting part in Serra’s earlier films. The outdoor space was important, if not more important than the characters. Not quite as much as in other slow films, but the general tendency was there. Empty frames are rare, too. Compared to his previous films, Story feels rather crammed, and because it is mainly set indoors, I missed the (virtual) breathing space. There’s also a lot more talk in this film than in his others. So, while his film is great – although it dragged on a bit in the middle which made me think that the film could have been a bit shorter – it is not Slow Cinema, which is worth keeping in mind for further studies of Serra. With Story to his credit, it appears as if he’s not a director who sticks to Slow Cinema aesthetics, but is rather flexible in what he does. Grouping him together with others like Lav Diaz, Béla Tarr, or, say, Nicolás Pereda would be wrong, in fact. Nicolas Pereda, slow-film director from Mexico, known for his films Interview with the Earth (reviewed here) and Summer of Goliath, has a new film, which apparently ran at the Berlinale. I must have overlooked it in the programme. The film’s title is Killing Strangers (Matar extraños), and is, in fact, a collaboration with a Danish director. Every year the CPH:DOX festival in Copenhagen encourages a European and a non-European filmmaker to work together. It’s called DOX:LAB. In 2012, it was Pereda and Jacob Secher Schulsinger. The trailer looks wonderful. Not that I expect something else with Pereda. Here you can read an interview with Pereda and Schulsinger. Without an official release date yet (as far as I know), Lisandro Alonso’s new film Untitled Lisandro Alonso Project has already attracted a sales company, namely Mexican based NDM. They have acquired world sales rights. NDM also holds the rights to Carlos Reygadas’ latest film Post Tenebras Lux. The 16e Festival du Film Asiatique de Deauville (France), which is to take place from 5-9 March, has special screenings for Tsai Ming-liang, as an homage to him and his work. They will screen his latest feature Stray Dogs, Goodbye Dragon Inn, and What Time is it there? Tsai’s Journey to the West premiered at the Berlinale and, as far as I can see, the reviews were throughout very good. Here you can read an interview with Denis Lavant about working with Tsai. Remaining with Tsai, there’s a two months long retrospective of his work scheduled in Belgium from March to May. They screen gems like I Don’t Want to Sleep Alone and Visage. In Jerusalem, at the Cinematheque, they organised a retrospective of Fred Kelemen’s work, both as filmmaker and as cinematographer. Amongst the films chosen for this programme, were Tarr’s The Turin Horse, for which Kelemen acted as cinematographer, and his exceptional Frost, which is part of a trilogy. I watched it at the Slow Cinema weekend in Newcastle in 2012, and can only recommend it. Mexico will be home of Slow Cinema next month. The FICUNAM festival will screen Tsai‘s Journey to the West, the new film The Joy of Man’s Desiring by Denis Côté, Lav Diaz‘s Norte The End of History, Albert Serra‘s Story of my Death, Ben Rivers‘ new film A Spell to Ward off the Darkness, and finally we have the two slow suspects Costa da Morte by Lois Patino and Manakanama by Stephanie Spray and Pacho Velez. Slow paradise? Intriguing interview with Denis Côté about his film Bestiaire. You can, in fact, watch a couple of his earlier films on his personal vimeo page. I wanted to link to a YouTube video. Lav Diaz’s Century of Birthing appeared on the platform. But it has been removed. Culture – deleted. What more is there to say!? The IFFR has started yesterday. The Glasgow Film Festival will run from 20 February 2014 – 2 March 2014. Tickets will go on sale tomorrow. Films marked with an * are suspected slow films. It sounds as if they would be slow, but I can only really tell once I see them. And this won’t be soon as I’m unfortunately not living near Rotterdam, and for someone who doesn’t live in Glasgow either, the scheduling is a bit unfortunate. I will catch the films one day, though. Here it is, the New Year. I hope you all had a lovely Hogmanay and New Year’s day in your respective countries around the world. I also hope that you have some significant New Year’s resolutions, such as “I won’t live in the fast lane anymore”. Being a snail is so much better, and strangely enough, so much more efficient, says the one who used to do everything fast in order to manage more work. It’s an illusion. Slow is the new fast (and the new efficiency). Last year was a good year for slow film. I’m sure that 2014 will bring more gems to the surface. I’m hoping to see Tsai Ming-liang’s Stray Dogs, Albert Serra’s Story of my Death and then there is still Lav Diaz’s Norte which I’m hoping to see on a big screen. There is also the Untitled Lisandro Alonso Project which was originally scheduled for this year. Those are the big players in Slow Cinema, though. I discovered several new slow-film directors last year, and I’m keen on and confident about finding more this year. Some of you recommended films to me already. I appreciate it. Feel free to recommend more. I’m always happy to expand my slow horizon. I’m looking forward to all the festival announcement and dig into the trailers of the selected films. And then the hunt for films will start all over again. As for New Year resolutions: I want to get my hands on filmmaking again, though not on anything major. My last post ended with a five-minute video of a candle. It was inspired by the YouTube channel Ten Minutes of Your Life, and my research into Slow Cinema. My aim is it to get a feel for what the filmmakers are doing, enduring, and perhaps even seeing what we might not see. I want to get a practical eye for Slow Cinema, which will inevitably influence my overall research. Not necessarily my thesis work, but my general research output (one day…). There will be more videos of this kind on this blog. Or rather on a new blog. The videos will not all be photographic, beautiful or have an interesting subject. I merely want to experiment with different things to get a feeling for slow-film making. I know that there is a difference between making a slow feature film, and making a slow five-minutes video. But you need to start somewhere. Even though I will primarily post the videos on Five Slow Minutes, I will nevertheless reblog some of them on this blog. I just don’t want to run the risk of mixing theory with practice. It’s best if I have two platforms for it. That said: a Happy New Year to you all. Wishing you all the best in 2014. And always remember: take it slow!